Our vulnerability assessment training course is aimed at manufacturing sites which are accredited to a GFSI recognised scheme, such as Primus GFS, FSSC22000, SQF Code Edition 8, BRC Global Standard for Food Safety and the IFS Food Standard. These standards now require a raw material vulnerability assessment to be carried out, which is sometimes referred to as a TACCP or VACCP. 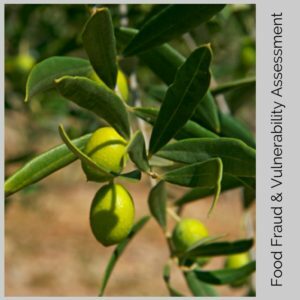 This course provides a learner with a background to food fraud, what is required to meet the GFSI recognised schemes and then, how to practically complete a vulnerability assessment, step-by-step. The training is video-based and can be completed by an individual learner, or it can be completed by the vulnerability team, as a group together. Once purchased, the course video can be watched as often as you like and at your own pace. The video is supported by printable a lesson guide with notes pages, so you can write notes as you go along. A printable transcript is also available, if you would like to read along. The course is made up of a video, exercises and a quiz, which is estimated to take a total of 5 hours. The course is equivalent to level 3 (this is not an accreditation/regulated qualification).